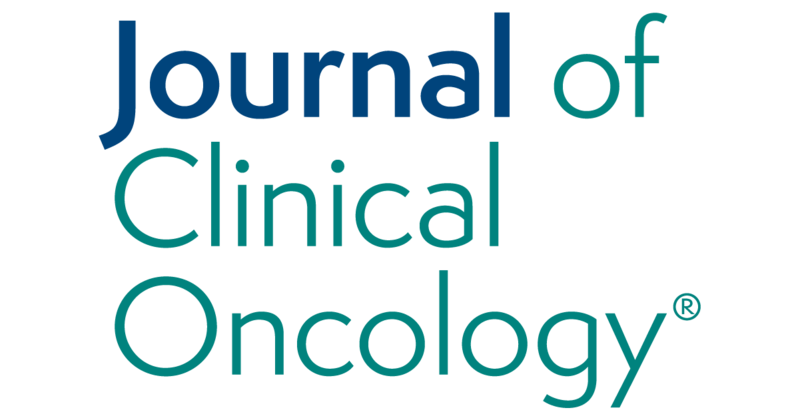 Abstract: We used phase-3 CONVERT trial data to investigate the impact of 18fludeoxyglucose (18F-FDG) PET/CT in small-cell lung cancer (SCLC). Conclusion - in CONVERT, survival outcomes were not significantly different in patients staged with or without 18F-FDG PET/CT. However, this analysis cannot support the use or omission of 18F-FDG PET/CT due to study limitations. Purpose: Prophylactic irradiation to the chest wall after diagnostic or therapeutic procedures in patients with malignant pleural mesothelioma (MPM) has been a widespread practice across Europe, although the efficacy of this treatment is uncertain. In this study, we aimed to determine the efficacy of prophylactic radiotherapy in reducing the incidence of chest wall metastases (CWM) after a procedure in MPM. Conclusion: There is no role for the routine use of prophylactic irradiation to chest wall procedure sites in patients with MPM. Lung cancer remains the most common cause of cancer related death in both the UK and USA. Development of diagnostic approaches that have the ability to detect lung cancer early are a research priority with potential to improve survival. Analysis of exhaled breath metabolites, or volatile organic compounds (VOCs) is an area of considerable interest as it could fulfil such requirements. 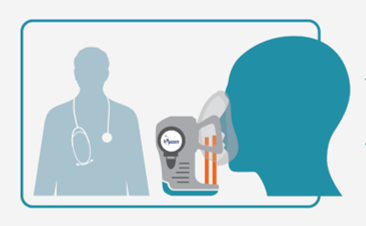 Numerous studies have shown that VOC profiles are different in the breath of patients with lung cancer compared to healthy individuals or those with non-malignant lung diseases. This review provides a scientific and clinical assessment of the potential value of a breath test in lung cancer. It discusses the current understanding of metabolic pathways that contribute to exhaled VOC production in lung cancer and reviews the research conducted to date. Finally, we highlight important areas for future research and discuss how a breath test could be incorporated into various clinical pathways. 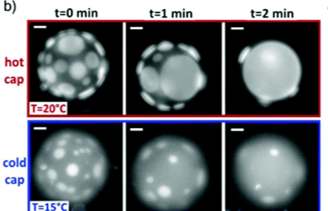 We demonstrate experimental control over tubule growth in giant unilamellar vesicles with liquid-liquid phase coexistence, using a thermal gradient to redistribute lipid phase domains on the membrane. As studied previously, the domains of the less abundant phase always partition towards hotter temperatures, depleting the cold side of the vesicle of domains. We couple this mechanism of domain migration with the inclusion of negative-curvature lipids within the membrane, resulting in control of tubule growth direction towards the high temperature. Control of composition determines the interior/exterior growth of tubules, whereas the thermal gradient regulates the length of the tubule relative to the vesicle radius. Maintaining lipid membranes under non-equilibrium conditions, such as thermal gradients, allows the creation of thermally-oriented protrusions, which could be a key step towards developing functional materials or artificial tissues. Interconnected vesicle compartments or ejected daughter vesicles as transport intermediaries towards hot/cold are just two possibilities. Abstract: Bcl9 and Pygo are Wnt enhanceosome components that effect β-catenin-dependent transcription. Whether they mediate β-catenin-dependent neoplasia is unclear. Here we assess their roles in intestinal tumourigenesis initiated by Apc loss-of-function (ApcMin), or by Apc1322T encoding a partially-functional Apc truncation commonly found in colorectal carcinomas. Intestinal deletion of Bcl9 extends disease-free survival in both models, and essentially cures Apc1322T mice of their neoplasia. Loss-of-Bcl9 synergises with loss-of-Pygo to shift gene expression within Apc-mutant adenomas from stem cell-like to differentiation along Notch-regulated secretory lineages. Bcl9 loss also promotes tumour retention in ApcMin mice, apparently via relocating nuclear β-catenin to the cell surface, but this undesirable effect is not seen in Apc1322T mice whose Apc truncation retains partial function in regulating βcatenin. Our results demonstrate a key role of the Wnt enhanceosome in β-catenindependent intestinal tumourigenesis and reveal the potential of BCL9 as a therapeutic target during early stages of colorectal cancer. Abstract: In vitro cancer cell cultures are facile experimental models used widely for research and drug development. Many cancer cell lines are available and efforts are ongoing to derive new models representing the histopathological and molecular diversity of tumours. Cell models have been generated by multiple laboratories over decades and consequently their annotation is incomplete and inconsistent. Furthermore, the relationships between many patient-matched and derivative cell lines have been lost, and accessing information and datasets is time-consuming and difficult. Here, we describe the Cell Model Passports database; cellmodelpassports.sanger.ac.uk, which provides details of cell model relationships, patient and clinical information, as well as access to associated genetic and functional datasets. 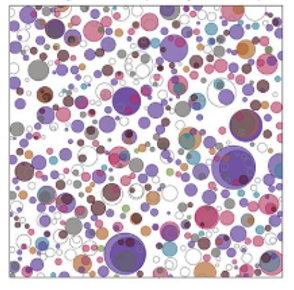 The Passports database currently contains curated details and standardized annotation for >1200 cell models, including cancer organoid cultures. The Passports will be updated with newly derived cell models and datasets as they are generated. Users can navigate the database via tissue, cancer-type, genetic feature and data availability to select a model most suitable for specific applications. A flexible REST-API provides programmatic data access and exploration. The Cell Model Passports are a valuable tool enabling access to high-dimensional genomic and phenotypic cancer cell model datasets empowering diverse research applications. Abstract: The extent to which cells in normal tissues accumulate mutations throughout life is poorly understood. Some mutant cells expand into clones that can be detected by genome sequencing. We mapped mutant clones in normal esophageal epithelium from nine donors (age range, 20 to 75 years). Somatic mutations accumulated with age and were caused mainly by intrinsic mutational processes. We found strong positive selection of clones carrying mutations in 14 cancer genes, with tens to hundreds of clones per square centimeter. In middle-aged and elderly donors, clones with cancer-associated mutations covered much of the epithelium, with NOTCH1 and TP53 mutations affecting 12 to 80% and 2 to 37% of cells, respectively. Unexpectedly, the prevalence of NOTCH1 mutations in normal esophagus was several times higher than in esophageal cancers. These findings have implications for our understanding of cancer and aging.